I often hear of businesses that don’t have business plans. In fact, recently I met with some government representatives that suggested that many of their businesses in their locality didn’t have a plan. A business plan is an essential document for anyone commencing a new business, already in business and critical for anyone seeking funding from a venture capitalist. The business plan needs to be comprehensive, well thought and should contain sound business reasons. Individuals could choose to hire a professional to write a business plan for them or they could attempt to write their own making use of the excellent business planning software or books that are available. 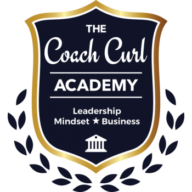 There are many resources, including the Fueling Your Business program inside the Coach Curl Academy. A market evaluation is a useful analysis of a company’s success. It is a big undertaking but is invaluable. To conduct the analysis consideration needs to be given to a range of areas including sales figures, marketing goals, advertising content and the media mix being utilized. An evaluation needs to be done of the marketing goals. Firstly the original marketing goals need to be examined and it has to be ascertained whether the business is taking that market. Thought has to be given to decide if that is the most profitable market for the company. An analysis has to be made to show an increase or otherwise in the market share and by how much. An analysis of the competition can be the most difficult section to work on when undertaking the writing of a business plan. Before analyzing the competition they have to be investigated and before that can be done they have to be found. To analyze the competition it is necessary to determine what market or market segments they serve and what benefits they offer. It is necessary to determine why customers buy from them and also to gather information about their products and or services, their pricing and promotion. With the astronomically high failure rates for new business it is obvious that to succeed then new businesses need all the help they can get. Proper planning is vital. Once formulated the plan should be taken to independent accountants for them to assess as well as other trusted advisers. The most important thing, is once the plan is agreed upon, action must follow. It is no use to have a great plan and no traction. Work the plan and be prepared to flex when needed. We can help you get your business started. We have multiple resources in the Academy, and customised business coaching is also available.